NO CHILD IS EVER CUT FROM OUR TEAM! Our Wu Shu Wonders program is specifically designed to introduce your son or daughter to the martial arts of China with an emphasis on co-ordination and self control, not fighting. The gymnastic nature of this exciting of martial arts form promises to direct youthful energy toward the development of martial arts skill while at the same time offering a fun experience. Children of all levels of skill are welcome regardless of their current physical ability. Increased self confidence is often a result of the training as all students are treated with respect and encouraged according to their own ability. Parents have reported benefits such as increased self confidence, weight loss, improved concentration and co-ordination since their children have begun training with us. 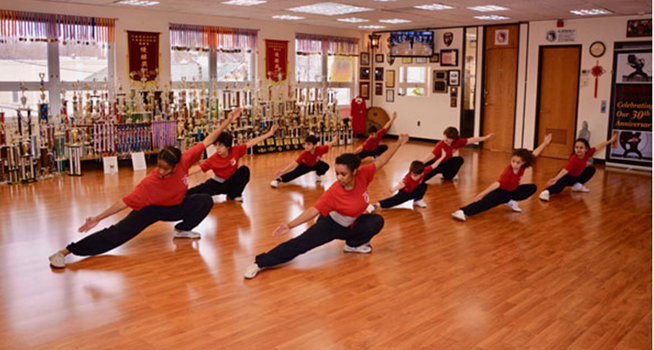 Children ages 10 and over have the option of participating in our traditional Kung Fu training program. Though not a requirement, members interested in tournament competition or performances are encouraged to participate in these events when the Instructors feel the student is ready. Our most popular class with the teenage group is Northern Shao Lin. This traditional kung fu style emphasizes self control and co-ordination and is a highly effective system for fitness and self defense. Shao Lin teaches the student to deflect or redirect an opponents’ force, allowing smaller students to be effective against larger opponents in self defense. 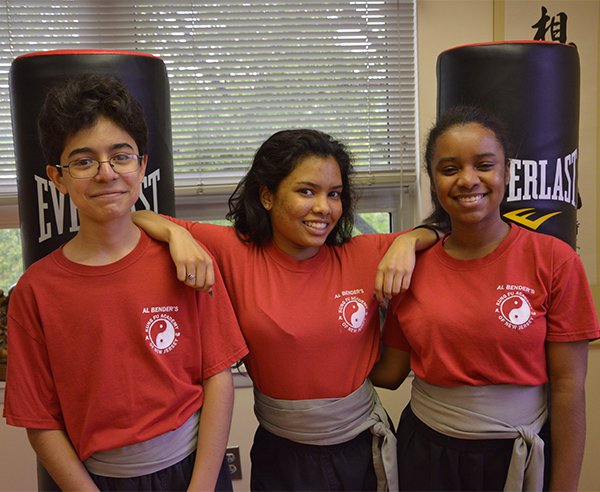 Kung Fu training for teens has proven again and again to be a great way to develop focus, self-esteem, co-ordination and a sense of accomplishment as they move through the curriculum. 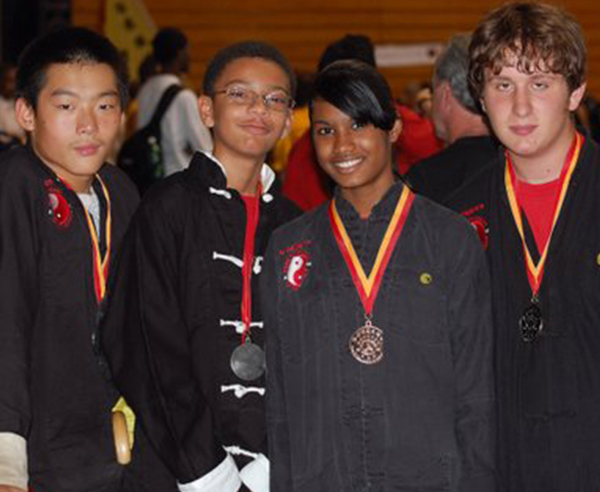 Though not a requirement, many of our teens have become successful tournament competitors earning trophies and medals which are proudly on display at the Academy (It should be noted that students are not allowed to fight in tournaments and no free sparring is practiced in our school). Special muscle memory training is used to develop reflex response in our self defense program. This training allows the student to deliver full power strikes to hand targets and heavy bags, not each other.Goal setting and achievement are additional benefits students derive through the practice of this amazing art of skill and self defense. Our classes are based on the premise that one must be in control of him or herself before they can extend control to others for the purpose of self defense. Self control is developed through traditional training methods. PLEASE NOTE: Our students do not engage in free sparring as a means of developing fighting skill. Our goal is to develop full power punches and kicks in a unique way using muscle memory. Self defense drills with a partner are also used to help develop reflex response. Flexible scheduling includes weeknights, Saturdays and Sundays as well as private instruction to accommodate more difficult schedules.